Τhe Music School of Drama and MSD Radio present a special broadcast dedicated to soundtracks. A journey to the music we have loved through movies. 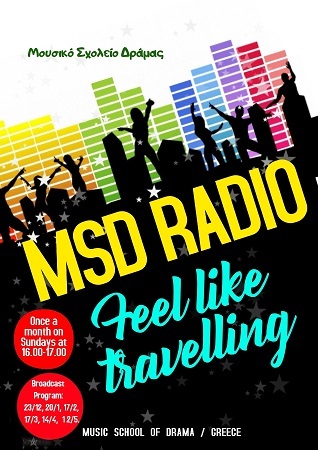 Stay tuned on Saturday, April (the) 20th from 19:00 to 20:00, because, as the slogan of our broadcast says …… MSD Radio, gets you everywhere!!!!! !